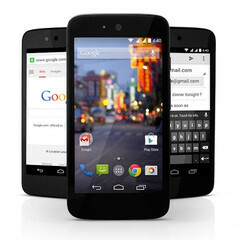 Nepal, Bangladesh, and Sri Lanka add over 200 million people to the mass of users exposed to Google's initiative that aims to bring cheap smartphones running pure Android to everyone. Google launched the Android One initiative in India back in September, and now they begin its expansion by adding three neighboring countries to the list: Nepal, Bangladesh, and Sri Lanka. According to the Internet search giant, Android One is "an initiative to make high-quality smartphones accessible to as many people as possible" and last week Hindi speakers got a smartphone specifically made for them by Spice, a company part of this program. The official blog post by Product Management Vice President Caesar Sengupta reveals that "a wide range of manufacturers and network partners such as Banglalink will begin to sell Android One smartphones" in the countries mentioned above which have a combined population in excess of 200 million. Indian program partners Micromax, Karbonn and Spice will be joined by Symphony, a company from Bangladesh set to launch Roar A50 in the coming weeks. All Android One devices run stock Android and get their updates directly from Google. For now, users in Bangladesh do not have full access to Google Play and location-based services. One of the next big markets in the area that may join the next wave is Pakistan. We will surely hear more about this topic in the future, so stay tuned.